The Caribbean is one of the easiest destinations to reach from New York. In fact, there are flights daily to almost every island in the Caribbean. It is especially ideal for those New Yorkers who want to escape the Winter snow and cold weather and trade it for a sun-kissed powdery white sandy beach on a tropical Caribbean Island. If you are looking for a non-stop flight, here are some of the best direct flights from New York to Caribbean Islands. The main destination for visitors to Turks and Caicos is the island of Providenciales. Here you will find a wide range of high end luxury villas, restaurants, shops, boutiques and some of the best beach front resorts in the Caribbean. Currently four airlines provide direct Turks and Caicos Flights from New York. The flight time is 4 hours. Many of the hotels on the island are located on the famous Grace Bay Beach. It has been voted one of the top beaches in the Caribbean on several occasions. Grace Bay offers a long stretch of perfectly white sand and is one of the nicest places to swim on island. The island also provides endless activities from scuba diving and water sports to fishing and snorkeling. Discover this paradise in our essential guide to Turks and Caicos. Arriving in Montego Bay airport you will really feel you have landed in Jamaica. You can hear the reggae music from the moment you get off the plane and since it is home to the famous musician Bob Marley, you are guaranteed to hear a lot of reggae music. The Jamaicans are some of the friendliest people in the Caribbean and they are so happy to share their beautiful paradise with you. 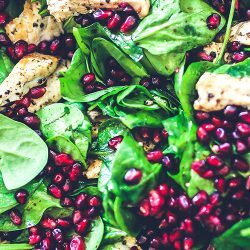 In Jamaica, you will most definitely enjoy some of the best food from jerk chicken and rice to fried plantain and ackee salt fish. While in this tropical destination you are sure to see some of the most luxurious villas in Jamaica. Many of the villas in Jamaica are fully staffed too which offers a relaxing luxury vacation. 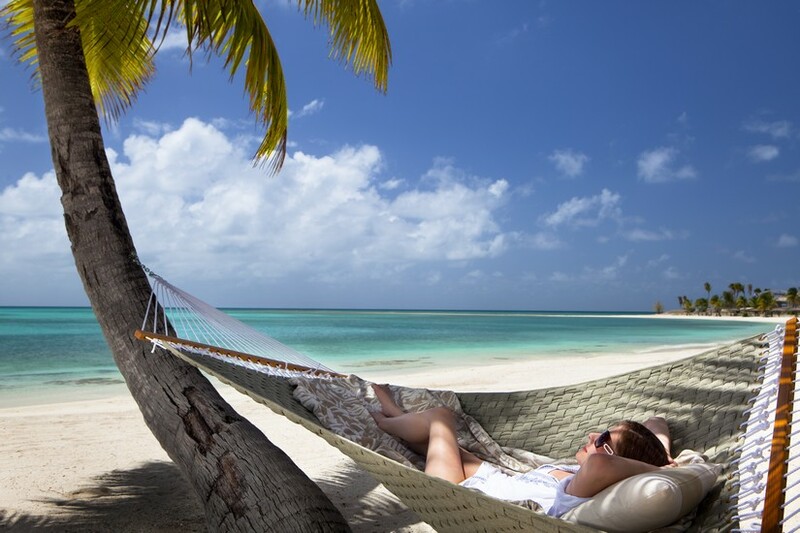 Antigua is a super friendly Caribbean island offering laid back barefoot luxury. There is nothing pretentious about the island and it offers excellent sailing opportunities for visitors. The island has some stunning beaches, excellent gourmet cuisine but equally has casual eateries. Antigua boasts incredible scenery, endless activities, and if you’re looking for an epic villa Antigua never disappoints. The airport, which is called V.C. Bird International, is located close to many of the villas and hotels on island. St Lucia is one of the most romantic Honeymoon Destinations in the Caribbean. This lush and romantic island is consistently being ranked as one of the best destinations in the Caribbean by Conde Nast. The island has a wonderful rich culture, lush landscape, unmatched sunsets, stunning beaches and the island is most well-known for the famous pitons. The local Piton Beer is even named after the two iconic mountains. Hewanorra Airport is located in the South of the island and it takes an hour and a half to reach the North of the island where many of the luxury villas are located. Often visitors like to split their stay with half the times spent in the South of the Island and the other half in the North. It offers a different experience within the same vacation. Arriving in Cayman Islands you will land in the island of Grand Cayman. This is where all the international flights arrive. You can reach the other two sister islands of Cayman Brac and Little Cayman by plane from Grand Cayman. Grand Cayman is one of the most popular islands for visitors from New York. It offers an easy 4-hour flight and is a small enough airport where you rarely see long queues at customers or immigration. 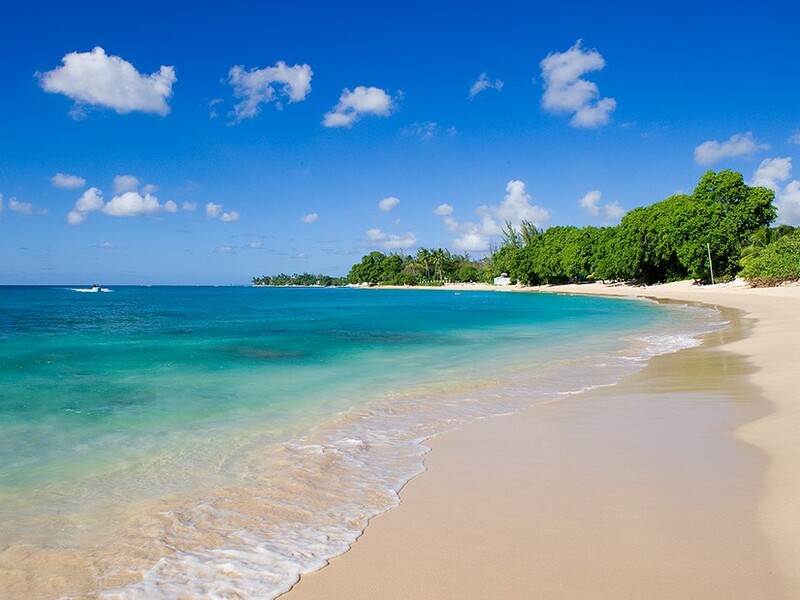 Grand Cayman is home to Seven Mile Beach which has been named among some of the best beaches in the World. Seven Mile Beach is the hub of Grand Cayman and here you will find a great selection of hotels, resorts and luxury villas. There is also a huge selection of water sports on the beach and it is very busy during the high season from November until April. The island is most well known for its amazing scuba diving and stingray city where you can enjoy a swim with stingrays in the middle of the Caribbean Sea. St Maarten has one of the most famous airports in the Caribbean. The airport, called Princess Juliana Airport, is located on the Dutch side of the Island is located right beside Maho Beach. As the large jumbo jets such as KLM 747 fly overhead, people stand on the beach to watch the plane past directly overhead. Visitors say it is a ‘must do’ while on island. Whether you chose to stay on the French or Dutch side of the island, St Maarten/St Martin has something for everyone from exotic beaches and luxury villas, to high end restaurants, casinos and nightlife. Dominican Republic is one of the easiest destinations in the Caribbean to reach from New York. Punta Cana airport is located next to all the luxury resorts in Dominican Republic. You can also fly with Jet Blue into Santo Domingo non-stop from New York which takes 3h 40m. The best resorts to visit while here would be Casa de Campo, Punta Cana and Cap Cana. The Airport of St Kitts is located in Basseterre and has non-stop flights from New York. St Kitts, and its sister island of Nevis, are so easy to reach with daily flights from the US. Nevis, which is a little less know than St Kitts, is one of the nicest islands in the Caribbean. It’s the type of island that offers you laid back island luxury and is positively understated. In Nevis you won’t find any shopping malls or cruise ships. Instead you will find a relaxed island with luxury villas and resorts such as the Four Seasons. Nevis is the type of island you can travel to and do nothing or you can have a fun-filled itinerary and if you find the island a little quiet you can venture over to St Kitts for the day or night if you wanted more nightlife. Nassau is the capital of the Bahamas. The island is busy but still offers a relaxing island vibe. The beaches here and weather are glorious and since it is one of the quickest destinations to reach from New York, it is a very popular choice. 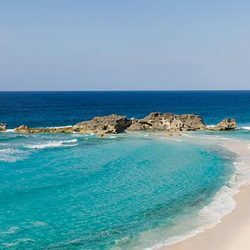 Many of the outer islands of the Bahamas have also become more popular to visit, especially for those looking to get away from the hustle and bustle of Nassau. In this case you can fly direct into Nassau and take a second plane journey to an outer island either by charter flight or a scheduled airline such as Bahamas Air. The main outer Bahamian islands people visit are Abaco, Andros, Eleuthera and the Exumas. With over 700 islands to choose from you are sure to find a favourite. Grenada is the spice island of the Caribbean and offers daily flights from New York with Delta Airlines and Jet Blue. Grenada has a lush and mountainous landscape and is comprised of valleys, beautiful waterfalls, stunning rain forests and of course you will also find pristine sandy beaches. One of the most charming aspects of Grenada is that you will find no high-rise buildings here. The island is naturally beautiful and is a great place to vacation with family and friends. St Thomas is one of the US Virgin Islands and offers direct access from New York. The US Virgin Islands are a Caribbean destination to where you can travel without a US passport. The island has sun-kissed beaches and its exotic climate makes it popular with cruise ship visitors since it is duty free. If you are looking to escape the cruise ships, then you should head over to the nearby island of St John. A quick ferry ride and you will have realised you have landed in a completely differ island. Here you will not find an airport or cruise-ship dock, and the usual Caribbean resorts are few and far between. It’s blissfully low-key compared to its neighbour St Thomas. Since Puerto Rico is part of the US commonwealth you don’t need a passport coming from the United States. This makes the destination one of the most popular with visitors from New York and other parts of the US. 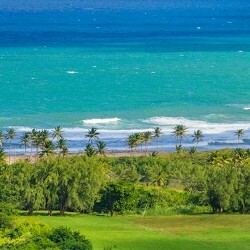 Puerto Rico has a deep Spanish influence and offers excellent shopping, high end luxury resorts, such as Dorado Beach, Bahia Beach, and El Conquistador resorts, and incredible cuisine. The old town of San Juan features old fashioned cobbled stoned streets with wonderful tapas restaurants and boutiques to browse. San Juan is also a great hub for accessing other Caribbean Islands making it ideal for a twin centre vacation. Curaçao is situated in the southern Caribbean Sea and is a Dutch Island similar to St Maarten. The island is most known for its wonderful beaches which can be found tucked into coves and dotted amongst the island. The island boasts expansive coral reefs with an abundance of marine life and offers fantastic dive sites such as Blue Bay. Willemstad which is the capital of Curacao features some charming pastel-coloured colonial houses. Martinique is a rugged Caribbean island that’s part of the Lesser Antilles. The island is an overseas territory of France and its culture combines a rare blend of French and West Indian influences. The airport located in Fort-de-France features steep hills, narrow streets and La Savane, a garden bordered by shops and cafes. Aruba is one of the most popular vacation destinations for New Yorkers. Owned by the Netherlands you will see its Dutch influence throughout the island. Known as the ‘happy island’ you will find perfectly whit sandy beaches and crystal clears waters. The island is also known for its water-sports such as deep-sea diving, fishing, windsurfing and parasailing. If you are flying to Trinidad and Tobago you will fly into Port of Spain which has a non-stop flight from New York which takes 4 hours 50 minutes. Trinidad and Tobago are a twin island country that is the southernmost nation in the Caribbean. 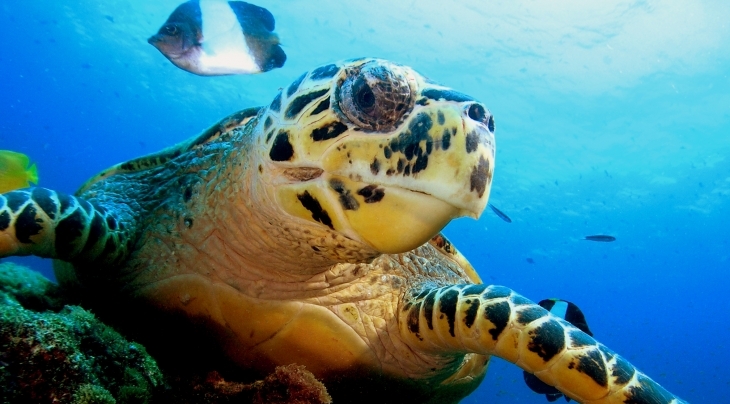 It is situated 130 kilometres south of Grenada. Why Vacation In The Caribbean? The Caribbean is one of the most popular tropical destinations for New Yorkers. With daily flights from New York airports you can find yourself escaping the Winter cold and trading it for a sandy beach on a tropical Caribbean island within a mere 4 hours. Flights operate daily from JFK and Newark Airports and offer easy access to many of the Caribbean Islands. Some of the most popular islands including Barbados, Jamaica, Turks and Caicos and Antigua but there are 17 Caribbean Islands with Direct Flights from New York making it so easily accessible all year round. If you are short of time and want to find the quickest non-stop route to reach a tropical paradise island in the Caribbean then we would recommend the Bahamas, Puerto Rico or Turks and Caicos. 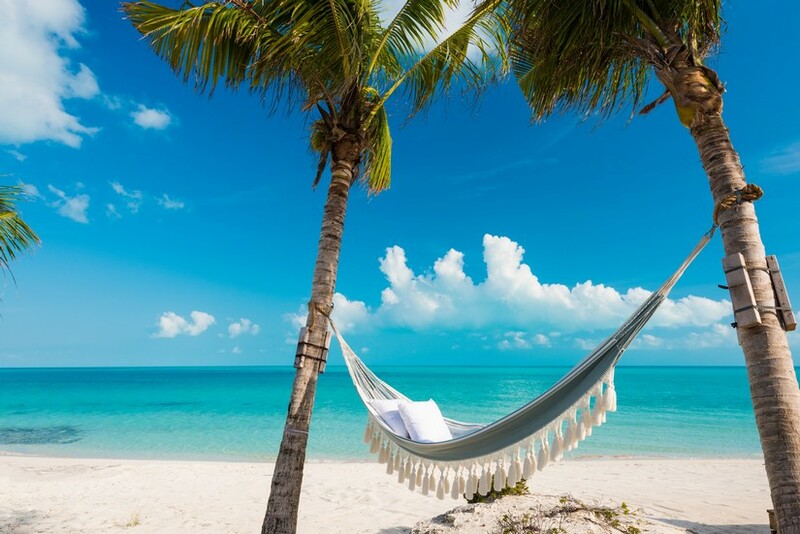 The Turks and Caicos Islands are probably one of the nicest and most popular destinations in the Caribbean. 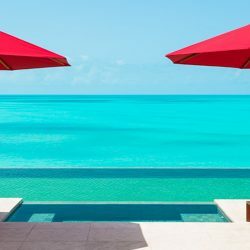 Here you will find some of the most luxurious Turks and Caicos Villas many of which are fully staffed and are located on the world-famous Grace Bay Beach. When To Travel To The Caribbean? The high season in the Caribbean falls between the months of November and April. At this time of the year you will find the weather to be lovely and sunny however since its peak season it makes the islands much busier. The air temperature on average 80 degrees Fahrenheit in the winter and 86 degrees Fahrenheit in the summer. It’s the perfect time of year to escape the cold in New York and head directly to the Caribbean for endless sunshine. The Sea is also really warm and perfect for swimming. No matter which island you fly to you will find glorious weather with all day sunshine. 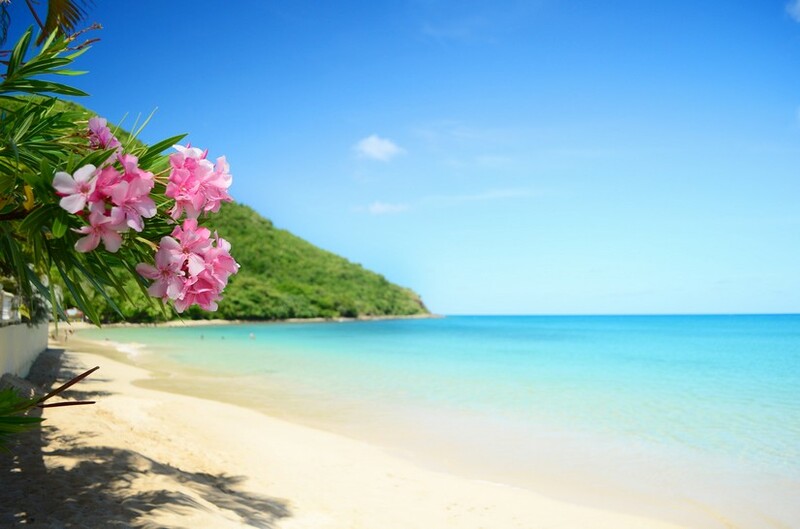 The Summer months or low season in the Caribbean is from April 14th through to the end of October. The summer can be a wonderful time to travel to the Caribbean, but it can be more humid from June onward. From July to November the Caribbean experiences the most rainfall however you will only ever experience short bursts of rain and the sunshine is always ready to come out soon after. The late spring and early summer are some of the best times to travel from New York to the Caribbean. Many islands offers accommodation at half the price and you can find great bargains such as free nights and special offers. The other nice reason to visit in this time is that the islands are not crowded and offer a calmer atmosphere with uncrowded beaches and restaurants making it easier to get reservations. We don’t recommend travelling to the Caribbean during the months of September and October due to it being hurricane season, and many villas, restaurants and hotels are closed. It has never been easier to get from New York direct to the Caribbean. 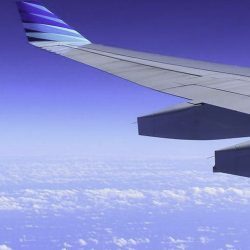 No matter which time of the year you choose to travel you will find a great selection of flights all less than 5 hours journey time from New York with many being between 3 and 4 hours flying time. It’s even easy to reach the Caribbean for a short 5-night stay or a long weekend if you don’t have enough vacation time. If you would like more information on the best Caribbean destinations with direct flights from New York please get in touch. Hi Kayla Thank you for your comment. The flight times are an estimate based on the airlines information. I do believe there is direct flights at certain days and time of the year from New York to St Lucia with Jet Blue Airlines. Do let me know if you have any questions or anything we can assist with. Thank you! Just went to Grenada late June 2018. Took a direct flight from Kennedy on JetBlue. But it was hard to find. There are no direct flights out of Newark, NJ.